The Marx Brothers – Groucho, Harpo, Chico and Zeppo – are the reigning kings of comedy and remain one of the most iconic comic teams of all time. 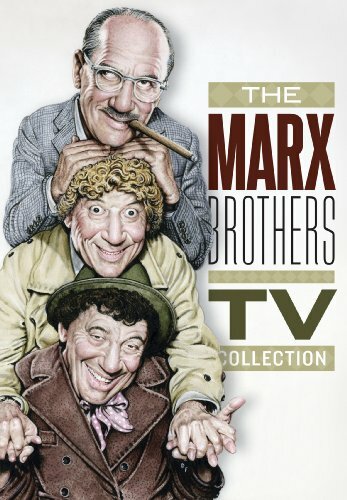 From their early days on Vaudeville and Broadway through their wildly popular motion pictures, the Marx Brothers kept audiences of all ages laughing out loud with some of the most hilarious routines ever imagined. 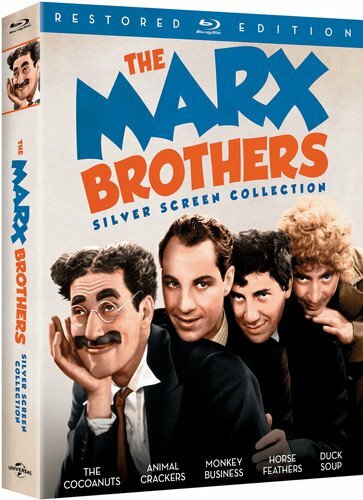 The Marx Brothers Silver Screen Collection Restored Edition captures the very best of the comedy team and includes the only five movies to feature all four brothers. 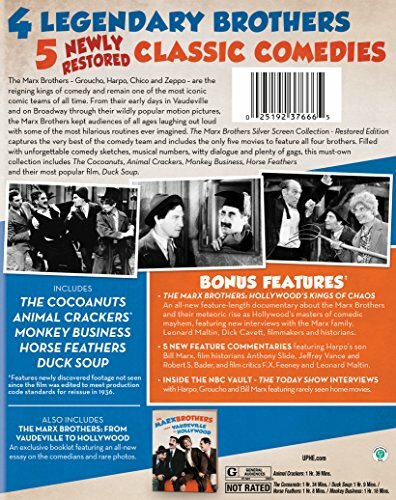 Filled with unforgettable comedy sketches, musical numbers, witty dialogue and plenty of gags, this must-own collection includes The Cocoanuts, Animal Crackers, Monkey Business, Horse Feathers and their most popular film, Duck Soup.